Nights were long in Iceland winters of long ago. A whole family sat for hours around the fire in the middle of the room. That fire gave the only light. Shadows flitted in the dark corners. Smoke curled along the high beams of the ceiling. The children sat on the dirt floor close by the fire. The grown people were on a long narrow bench that they had pulled up to the light and warmth. Everybody’s hands were busy with wool. As the family worked in the red fire-light, the father told of the kings of Norway, of long voyages to strange lands, of good fights. 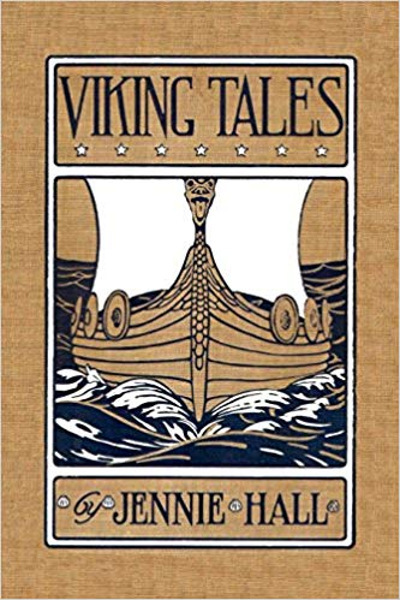 And in farmhouses all through Iceland these old tales were told over and over until everybody knew them and loved them. Men who could sing and play the harp were called “skalds,” and they called their songs “sagas.” Eventually these stories were written down on sheepskin or vellum so that we can enjoy them today. We follow the fortunes of Harald from the time he is acknowledged by his father as a baby and given his own thrall at the cutting of his first tooth, through his exploits as a viking adventurer, to his crowning as King of Norway. It is when Harald is King of Norway that population pressures at home and eagerness for adventure and booty from other lands combine to drive some of the bolder Vikings to set forth from their native land. Sailing ever westward across the Atlantic, they hop along the chain of islands that loosely connects Norway with America-Orkneys and Shetlands, Faeroes, Iceland, and Greenland. It is from link to link of this chain that the characters in our story sail in search of home and adventure. Discoveries are made by accident. Ships are driven by the wind into unknown ports, resulting in landings and settlements in Iceland, Greenland, and America. The crude courage of these men and strangeness of their adventures appeal strongly to children, while their love of truth, hardy endurance, and faithfulness to the promised word make them characters to emulate. Suitable for children ages 9 and up to read to themselves and for children as young as 6 as a read-aloud.